New Youth Ministry Coordinator in Esker. Lizzie Harrison has recently been appointed as Youth Ministry Coordinator in Esker Redemptorist Retreat Centre in Athenry Co. Galway. She has worked in the area of youth ministry and faith development since graduating from Mater Dei in 1996. 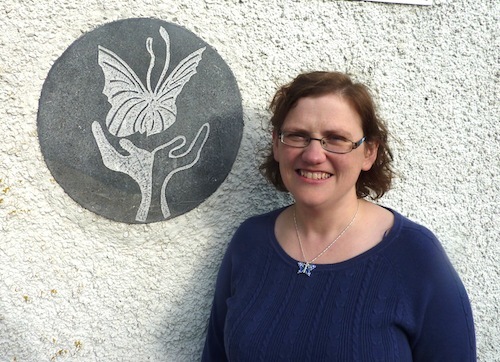 Since then she has taught Religion, worked in youth ministry in the Diocese of Clonfert, and has run her own retreat team, the Life Retreat Team, for two years. In 2006 she completed the MA in Chaplaincy and Pastoral Care from Mater Dei and for the past eight years she has been a chaplain spending six years as Chaplain in Loreto College, Crumlin. She is passionate about the possibilities that Esker presents to enrich the life and faith of young people through retreats and various other youth ministry programmes, so that they too may access the joy of the Gospel. Welcome, Lizzie, to Esker! May the Holy Spirit fill you and guide you! ← 1 + 1 > 2 Project… an exciting initiative and call.